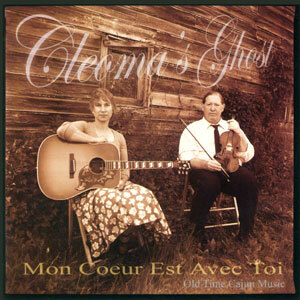 Hailing from the Catskill Mountains of New York, Cleoma’s Ghost consists of Buffy Lewis on rhythm guitar and companion Roger Weiss on fiddle. The two have been playing beautiful music together for over nine years & perform their unique style of Cajun music at weddings and events across the United States. Their first CD, titled “Mon Coeur Est Avec Toi” is filled with haunting melodies, toe-tapping two-steps, and soulful waltzes & is sure to be a fan favorite.